The Sofa-Scratcher Cat Scratching Post is brilliantly designed to protect your couch from getting torn to pieces by your cat, while giving them an appropriate place to scratch. With 9 colors to choose from, there’s most likely a Sofa-Scratcher that’ll match your sofa. The Sofa-Scratcher Cat Scratching Post, formally The Duchess of Sofa-Savers, has been on the market for over 15 years. 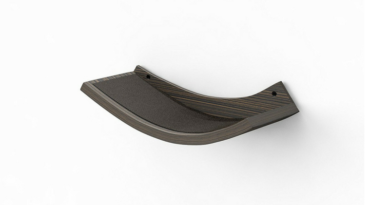 It has received several upgrades since the original version and now they even have a corner option called the Sofa-Scratcher Squared. 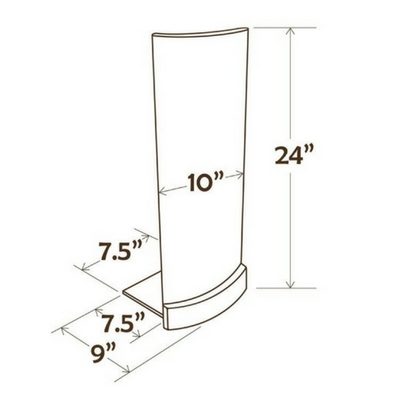 The dimensions of the Sofa-Scratcher Scratching post are 24” tall by 10” wide. The post is secured to a clear polycarbonate base that measures 8” x 10”. 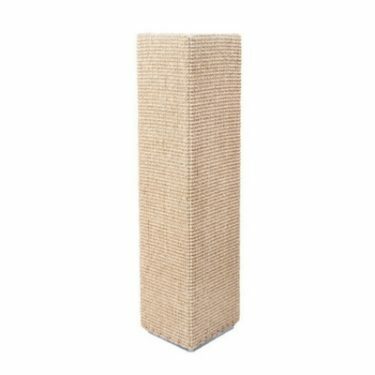 The Sofa-Scratcher Cat Scratching Post is made of woven sisal fabric and pressed wood, and it has a carpeted backing for protecting your furniture. 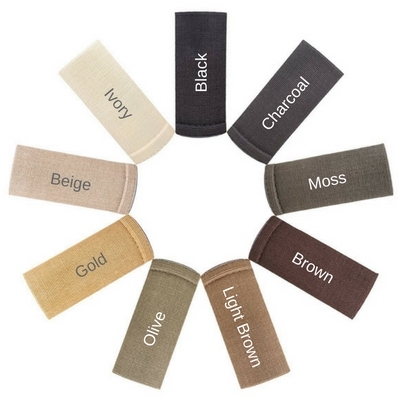 It comes in 9 different color options: Black, Charcoal, Moss, Brown, Light Brown, Olive, Gold, Beige, and Ivory. 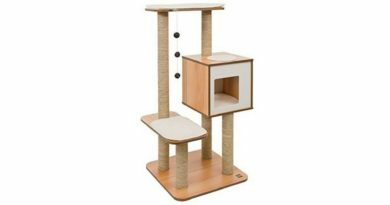 The Sofa-Scratcher Cat Scratching Post is a nice looking scratching post that is designed to blend in with its surroundings. And with 9 different color options to choose from, you should be able to find a color that matches your particular furniture. 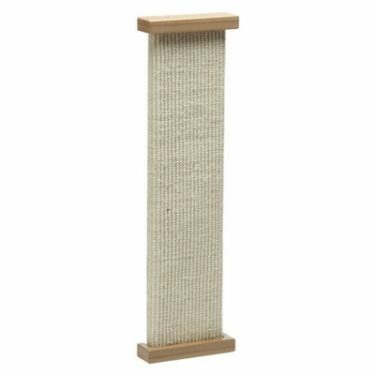 The curved design of this scratching post make it best suited for furniture with wide or rounded corners. The Sofa-Scratcher Cat Scratching Post gets really high marks for owner-friendliness. 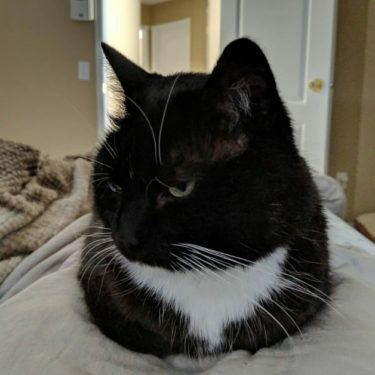 Nothing will make a frustrated cat owner happier than being able to save their precious couch AND make their cat happy. Woven sisal fiber is a quality scratching material that holds up much better than sisal rope or cardboard. Assembly is very easy with only 3 screws and pre-drilled holes. The carpet backing ensures that your furniture will be protected from snagging. Cats love to scratch, but not just anywhere. The most ideal scratching location is out in the open in the most populated area of the home. This also tends to be the place where people have their couch. So it’s no wonder that so many cats choose the sofa as their preferred scratching surface. The Sofa-Scratcher takes this information and puts it to good use. At 24” high, the Sofa-Scratcher is an appropriate height for scratching. 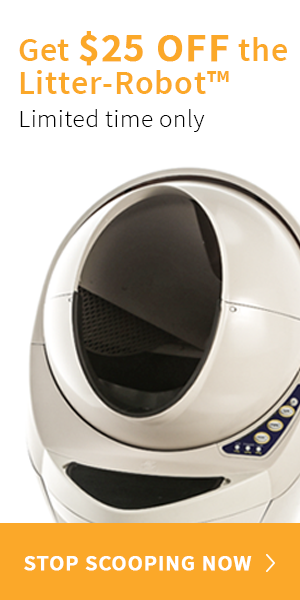 It’s not quite as tall as the SmartCat Ultimate Scratching Post, but it gets the job done. 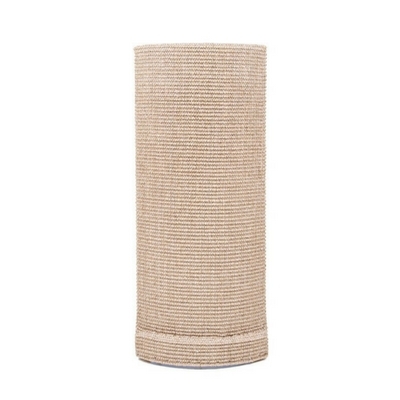 Fibrous woven sisal is an awesome scratching surface, but it might take some time for your cats to adjust. We recommend putting catnip on it and gently scratching it with your fingernails to encourage your cat to use it. As far as stability, a lot depends on your particular couch and set-up. 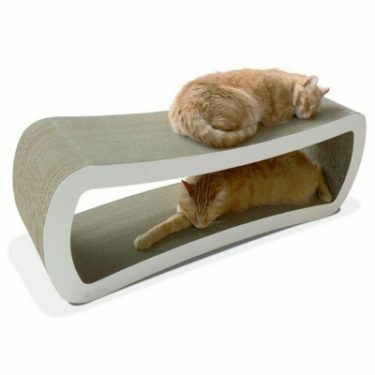 This scratching post has a thin polycarbonate base that is supposed to slide underneath a leg of your couch. 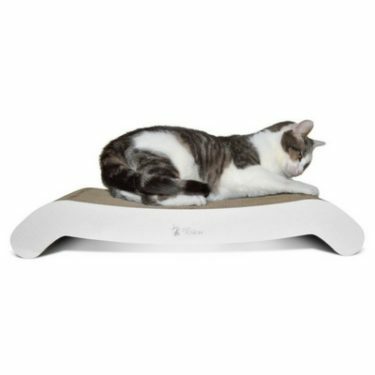 Even with the weight of the leg, a lot of owners have found that the scratcher wobbles or tilts when their cats scratch at it vigorously. For most cats, a slight wobble shouldn’t be enough to deter them from using the scratching post. 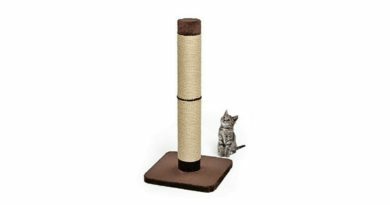 But if the base of this scratching post doesn’t fit snuggly under a leg of your couch, you might have to find a better way to stabilize it. Some people have used a weighted brick or found a way to attach the scratcher base to the sofa leg. 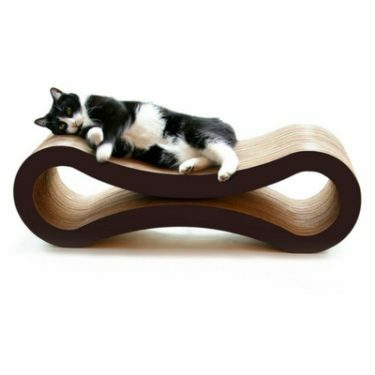 The Sofa-Scratcher Cat Scratching Post is a quality-made piece of furniture that is designed to last a very long time. The woven sisal fabric will outlast other scratching surfaces. 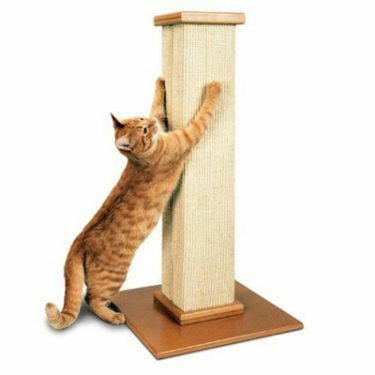 The carpet backing is a perfect example of how the manufacturers of this scratching post have thought of every detail. Designing a scratching post that is supposed to fit alongside countless types of couches is no easy task. Everyone’s sofa is unique and it would be impossible to account for every type of couch design. 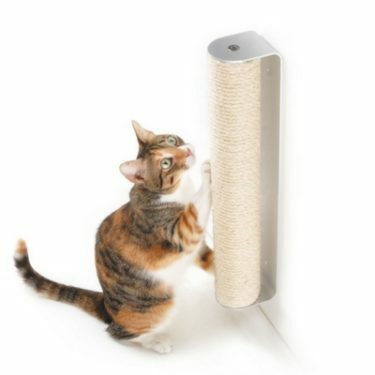 The biggest complaint with the Sofa-Scratcher Cat Scratching Post is that the polycarbonate base is rather flimsy and not long enough in a lot of situations to properly stabilize the scratching post. 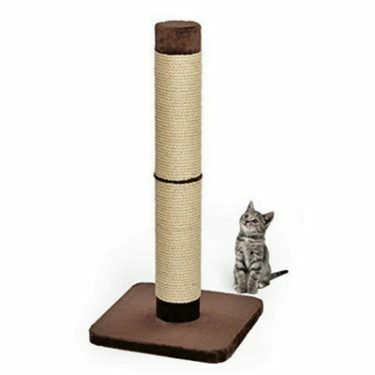 If you’re looking for an unobtrusive, quality-made scratching post to protect your sofa, the Sofa-Scratcher Cat Scratching Post might be the perfect solution. 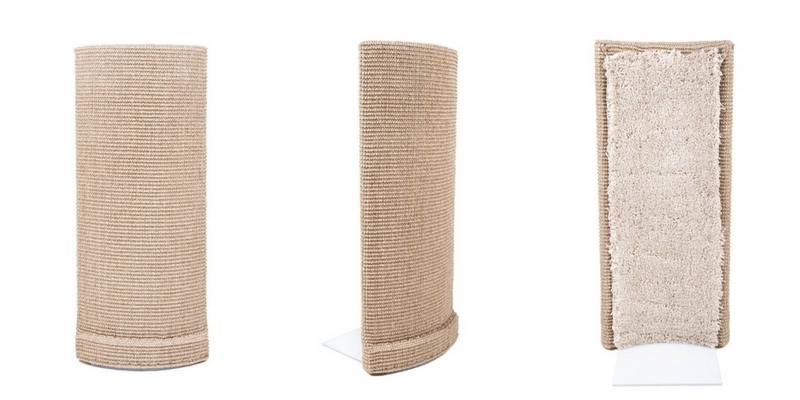 This scratching post might be pricier than a lot of the competition, but that’s because it is designed to last much longer. If you’re considering this scratching post, we highly recommend you take some measurements of your couch to see if it will be a good fit. 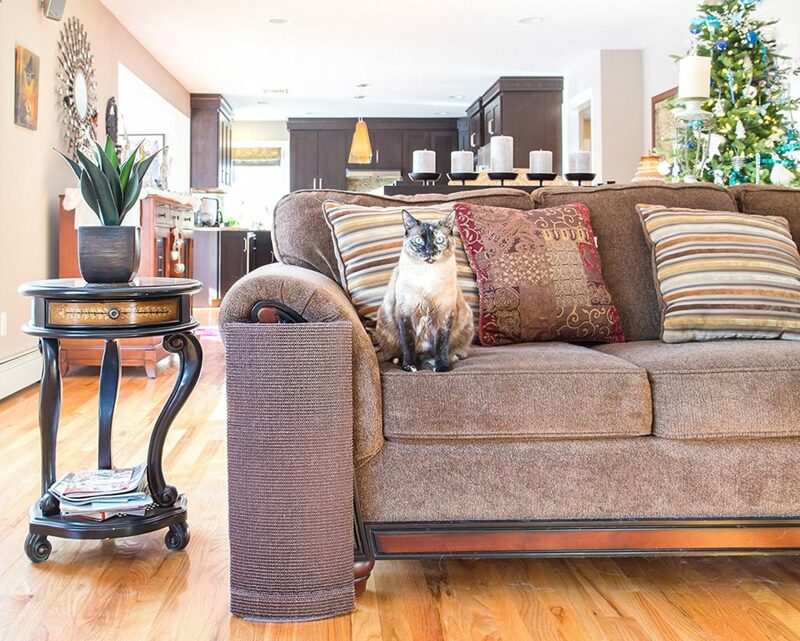 The Sofa-Scratcher Cat Scratching Post works best on sofas that have wide, rounded corners. 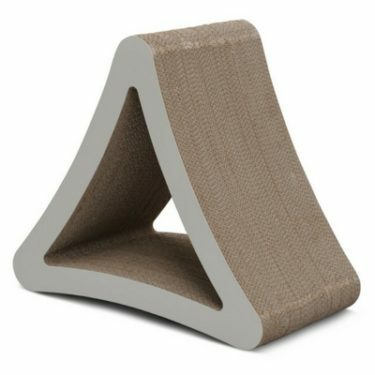 If your couch has a more-defined 90-degree corner, then the Sofa-Scratcher Squared Cat Scratching Post might be a better option.